Councilor Nakasian was first elected to the Northfield City Council in 2010 and is currently running unopposed for her third term in office. 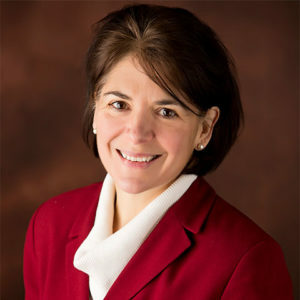 Prior to being appointed as Vice President of DMO, she served as Chair of DMO’s Council of State Chapter Chairs, and as Chair of the Minnesota DMO which she continues to serve as Vice President. Councilor Nakasian is an active member of the National League of Cities Transportation Infrastructure Advisory Committee and Subcommittee on Freight and Passenger Rail. Councilor Nakasian is one of three DMO representatives on the Democratic National Committee and a regular participant in meetings of the Association of State Democratic Chairs (ASDC). In recognition of her passion for DMO and contribution to the organizing of the DMOs State Chapter program, Council Member Nakasian was selected by the DMO Board as the 2015 recipient of the Susan Burgess Memorial Award for outstanding contribution to the Democratic Municipal Officials.